Summary: Here is the transcript of our March 2, 2018, chat with atrial fibrillation experts Dr. Oussama Wazni and Dr. Mandeep Bhargava of the Cleveland Clinic answering your most pressing afib questions. Atrial fibrillation or Afib is the most common heart rhythm abnormality. Over 2 million Americans are affected by AFib and while it is often a mere annoyance, it is responsible for 15% of all strokes. It can also be responsible for life-threatening medical emergencies that result in cardiac arrest and even sudden death. Cleveland Clinic afib experts Oussama Wazni, MD and Mandeep Bhargava, MD answer your questions about atrial fibrillation. This chat is hosted by the Cleveland Clinic and StopAfib.org. Remedy: Is it possible to have severe atrial fibrillation without any symptoms at all: such as shortness of breath, swollen ankles, noticeable palpitations, energy loss? Oussama Wazni, MD: Yes it is possible. Lillianmcg: I have coronary artery disease. I had a stent placed in 2012. Although I was told I didn't have a heart attack but they found that I had 40% blockage in one artery. I had echocardiogram stress test done in January, 2017 and was told that my stent is still open. I am presently on 5 mg Lisinopril, 25mg metoprolol, and 500mg Ranexa 2xdaily, 10mg pravastatin plus metformin for type 2 diabetes. I was having palpitations and wore an event monitor for 14 days and was told my heart functions were normal, no Afib. Should I be doing further test to find out the root cause of the palpations or is that part of the condition. When I saw my cardiologist in January this year, I was told to come back in one year, isn't that too long? Always nice to get other expertise opinions. Mandeep Bhargava MD: If you had palpitations while wearing the monitor, you may have an answer. If you think you have worsening symptoms, new type or prolonged symptoms, you could consider implantation of a loop recorder. ProJ: Is it a guarantee that Afib will progress, become more dangerous and occur more frequently? Or can it remain in-frequent/ even possibly happen less over time? With BAV and aortic dilation, is AFib more dangerous? Does it complicate the surgery process, prognosis or life expectancy of a patient? Oussama Wazni, MD: Afib may or may not progress. Afib is not more dangerous in the presence of aortic valve or aortic dilitation. Your doctors will have to take the presence of afib into account when planning your surgery. Afib in the presence of other heart disease negatively impacts prognosis. ProJ: I’m 27, male with bicuspid aortic valve [BAV (mild)], dilated aorta, and occasional arrhythmia episodes since I was young. I haven’t gotten the episodes officially diagnosed because they haven’t happened during testing. They happen infrequently, mostly at night while lying in bed (3-8 times monthly). They usually last between 5 secs- 1min. There was a few years I drank coffee/took Vyvanse, during that time they happened more frequently and lasted up to 30mins. Since I stopped stimulants, I often go months without having an episode during the day. They sometimes are triggered by posture shifts. The episodes are a steady (no flip flopping), elevated heart rate (110-150bpm). This year my cardio ruled out it being AFib, after an echo, EKG, 24hr monitor and stress test. She said there would have been some wave activity even if I didn’t have an episode. She said it’s likely just sinus arrhythmias or tachycardia. That logical? Can Afib be ruled out w/out having an episode monitored? Would Afib be more dangerous w/ my BAV? Oussama Wazni, MD: It sounds like you could benefit from longer term monitoring and correlation with symptoms. If you have symptoms but there is no afib recorded, then your symptoms can be ruled out as associated with afib. Many people have palpitations that are not due to afib. cstow: Are the palpitations I sometimes feel related to atrial fib? Oussama Wazni, MD: Palpitations can be a symptom of afib - but can also be a symptom of other things. rdupuis823: Can certain food trigger AFib? Oussama Wazni, MD: Excessive alcohol can cause atrial fibrillation. jblee: Are atrial fibrillations dangerous? Do they reduce longevity? clclic2no: Hello, I am most interested if there might be effective treatments for persistent/ (permanent), chronic AFib that's helpful for an 87 year old with a biventricular pacemaker and an ejection fraction of 45%. The diagnosis of persistent Afib was about 2 years ago. There are minimal symptoms ... however somewhat more tired on exertion and tire more quickly. stork: I am 80, and have had paroxysmal afib for 15 years. It used to occur roughly twice a month. For the past year it has occurred less frequently, perhaps occurring once a month. Also, in recent years the afib lasted from about one day to one and a half days, but now it lasts less than a day. Does this happen to many people, and what might the prognosis be? Bassets: I have paroxysmal AFib, treated with metoprolol and Eliquis. Since diagnosis, approximately 3 years ago, my episodes have lengthened in duration, i.e., from an average of 3 hours to a current average of 7. Although I see an electrophysiologist annually, this year no echocardiogram has been ordered in spite of this noted change. Is this usual practice? Other than the change in duration my current treatment is “working”. Besides recognizing when I am in AFib I am asymptomatic. I am not interested in rhythm control medications. I am a 70 year old married woman. My husband is very supportive of me and checks my heart rate and rhythm by stethoscope and oximeter. My rates rarely exceed 110; most readings are in the 70s and 80s.] Thank you. Oussama Wazni, MD: A yearly echo is not needed if the only change is duration of afib. Broccoli: I have paroxysmal afib with rapid ventricular rate. When this happens, my blood pressure goes from very low to high. My doctor wants me to go the ER each time. Is that really necessary? Mandeep Bhargava MD: Not really; if you do not have bad symptoms (e.g. chest pains, dizziness, passing out, bad shortness of breath), the ER may not do much and you may go back into normal rhythm. If the episode is prolonged, then you can always get a cardioversion for the same as needed. francie246: How common is paroxysmal afib after surgery to repair mitral valve? Is there a minimally invasive procedure that can be used to treat it, to avoid drugs like amiodarone? Thank you. Oussama Wazni, MD: Afib after cardiac surgery is common and usually transient. Because it is transient nature, a procedure is not recommended in this case. If a patient is very symptomatic in this case amiodarone can be used in a short term basis. cstow: 1. What is the median # of years Tikosyn keeps the heart in a regular rhythm? 2. With primary atrial fib, without other cardiac abnormalities, do you recommend the pt. stay on Tikosyn after they convert to sinus rhythm? 3. With primary atrial fib, without other cardiac abnormalities, do you recommend the pt. stay on Eliquis after conversion to NSR? 4. Is atrial fib considered an age related heart condition in an aging heart that doesn't have diagnosed other problems? 2. Depends on their choice, age, risk tolerance for ablation, etc. GDS: Wife had stroke 10 years ago. Afib ever since. She is 74 and suffers from aphasia as a result of stroke with no improvement over the years. On Xarelto. Dr says she is too old for Afib cure. Speech pathologist worked with her for 6 months right after stroke. No improvement. Any suggestions? Mandeep Bhargava MD: Sorry she has to suffer through the stroke. The cure for AF in terms of medications, cardioversion, ablation etc. (so called rhythm control measures) should be based on her symptoms from the AF and not the symptoms from the stroke. Nama4: 75 yo male with afib. Has had pacemaker two years since diagnosis because of slow heart rate. Takes BP meds, Eliquis, and a statin. Has no symptoms. Cardioversion twice - unsuccessful. At what point should someone consider further treatment to try to reset rhythm if asymptomatic and able to work out hard at gym 3x week? Mandeep Bhargava MD: No significant benefit of repeated cardioversions if truly asymptomatic. Sometimes in "Asymptomatic" patients, we give an antiarrhythmic drug in addition to the cardioversion to maintain sinus rhythm and then if they maintain sinus rhythm, it gives them and us a chance to see if they feel better in normal rhythm. Broccoli: I also wonder since I have Brady/tachy syndrome during afib, what can be given to me to convert to normal sinus rhythm. Mandeep Bhargava MD: Tachy and brady usually means that you are tachy when in AF and brady when in normal rhythm and so you are converting on your own. Some people may refer to it as a situation when they are in AF and go fast and slow in just the ventricle and that is usually more due to a change in your autonomic tone. For tachy-brady, most drugs can be difficult as they can worsen the brady but dofetilide and disopyramide are likely to affect the brady the least. heartbreak08: I am a 61 yo female. I first experienced AF in 2004. For many years I was treated with medication. In 2014, I was in AF almost all the time. I was referred to an EP. I was hospitalized and started on Amiodarone. Early 2015, I wore a heart monitor for 3 weeks, which showed the medication was causing long QTs. I had heart ablation done and felt better for a few months. However, the AF returned, and I am in AF constantly. Two weeks ago, I had cardioversion. I was shocked three times with no results. I am becoming very discouraged and exhausted. I am working full time and have no energy. I am not sleeping well. What do you feel should be the next step in controlling the AF, and helping me to feel better? Oussama Wazni, MD: You should be evaluated and considered for a repeat ablation. HARMSMR: I have paroxysmal again for the past 12 years TREATED with atenolol and eliquis. White female, age 73, 5 4", 145 #, no other medical conditions. This regime more or less controlled episodes but with some breakthroughs. 2 years ago, for an ablation evaluation, I was told to add Flecainide first to see if I had better control. I do have more control with rarer events. I would like to further reduce my risk. I worry about long term effects of the medications as i age. Will my insurance company, Medicare, cover an ablative procedure given that i have the AFIB pretty much controlled? Mandeep Bhargava MD: The insurance would usually cover for the procedure. It is your prerogative to choose an ablation over medications or vice versa as you wish. Jkennedy: 57 yr old male, I have CAD, minor Mitral valve regurgitation, and Afib, have had 2 cardio version, worked temporarily, now Dr. recommends an ablation. Is that the best option? Any other options? Oussama Wazni, MD: Other options may be trying an antiarrhythmic medication. Dauphinee: Is there anything other than the maze or ablation that is currently being studied or utilized anywhere in the world for paroxysmal a-fib. Lfafy: I never took medicine till age 83. Now I take 4 pills. I don’t feel the afib. But I do get more tired than usual when I exert myself. My legs are terribly swollen (I take Lasix) and have not been normal for many months. What can I expect to do to get better at my profound age?? Mandeep Bhargava MD: It is possible that the rate control measures are not enough for you and you may need rhythm control. You are describing symptoms which could be from heart failure and have to be treated accordingly. nkep72: Is Dofetilide (Tikosyn) safe to take long term? Oussama Wazni, MD: Yes - provided you follow specific instructions on blood work follow up and restrain from using drugs that interact with tikosyn that can prolong the QT interval. Basiliere: My understanding is that the pocket pill Flecainide is a Sodium blocker! If so! Does that mean that paroxysmal Afib episodes are triggered by too much sodium entering the heart cells? If so! Will reducing the amount of salt that you eat in your daily diet prevent afib? If so! Why? Or is flecainide blocking the speed (regardless of the quantity) at which that sodium is entering the heart cells? If so? What causes that sodium to speed up entering the heart cells? Can an adrenaline surge be the culprit? If so! Why would that surge speed up that sodium entering the cells? Why does a Paroxysmal Afib episode revert within a couple of hours or sooner after taking 200 mg of flecainide? Is it regulating that speed which in turn progressively regulate back the heart to normal? Mandeep Bhargava MD: It is a "sodium channel" blocker and works on those channels in the cells to alter conduction and promote sinus rhythm. Dietary Na is less likely to impact the function of this but Na can alter your blood pressure etc. which are risk factors for AF indirectly. Flecainide is a sodium blocker and the speed of that is not under our control or so much by usual changes in Na levels. The reason AF reverts is that by being a sodium channel blocker, the flecainide changes the environment in the cells and reduces their susceptibility to sustain AF. Babsy1950: I am currently taking metroprolol 12.5 x 2 and 100 gr. of amiodarone daily. Was diagnosed April of 2017. I'm afraid of long term amiodarone use due to its toxicity. What do you recommend that I replace it with? My blood pressure is low normal and resting heart rate pretty steady at 65 bpm daily. Oussama Wazni, MD: Discuss with your physician changing to dofetilide. If you do not have coronary disease or structural heart disease, you may consider flecainide, propafenone or sotalol. Before pacemaker, I had bradycardia (down to 38+- bpm while sleeping, usually 48-55 bpm while awake resting) and paroxysmal afib that was increasing in frequency. My blood pressure was slightly elevated, I used a CPAP machine for sleep apnea, and when my afib created tachycardia (rarely) I took one 25 mg atenolol which brought down my heart rate very well. I am now on 200 mg Amiodarone once daily, 25 mg Atenolol twice daily, 5 mg Eliquis (apixaban) twice daily, and one 37.5-25 mg Triamterene HCTZ every other day. My pulse is now a strong and steady 71 bpm and blood pressure is fairly stable at around 125-140/75-85. Questions: a. Is it likely that I can reduce or come off any of these medications, especially Amiodarone, blood thinner, and Atenolol? b. Would an ablation procedure likely be beneficial? Oussama Wazni, MD: Sounds like you are being managed well. At some point, you and your physician may consider stopping amiodarone and see how you progress. Based on that, an ablation may be considered in the future. May 2014 drug-eluting stent implanted into the LAD vessel. Current meds: 1. Clopidogrel 75mg/tan, take once a day, 2. Atovastatin 10mg/tab, once every night, 3. Losartan 50mg/tab, twice a day. Question: when to eliminate statin? Having some tendonitis. Oussama Wazni, MD: You should speak to your cardiologist. With stents it is not advisable to stop a statin. Your blood pressure is considered high with current guidelines. Constance: Hello, I was diagnosed with SVT 20 years ago. I was put on Nadolol 20 mg . Two years ago I was hospitalized and was told that I now have AFIB. All they prescribed was Nadolol 40 mg. That is an old medication. Isn't there a newer more advanced medication for AFIB? Mandeep Bhargava MD: Nadolol is a beta blocker. It can be used for SVT and for AF it provides only rate control. You have to see if your symptoms are better or not and what your long term goals are. There are many other medications for AF but depends on what your goals are. If your goals are rhythm control with an interest to be back in rhythm, especially if it improves your symptoms of LV function, then Nadolol cannot achieve the same. lhsdvm: Hi I was diagnosed with atrial fibrillation in January 2017 and had a RF ablation (last May). All seemed well until they tried to wean me off of metoprolol in September, which resulted in high resting heart rates (up to 107), feelings of anxiety, and some question as to whether there was atrial flutter (no fibrillation). They did a revision in November. Now they are trying to wean me off the metoprolol again, and my resting heart rate is up in the 80's and sometimes 90's, without any anxiety. I know that ablation can result in some vagal denervation. My questions: 1) Should this increase in resting heart rate be of concern to me? 2) Should I even try to get off the metoprolol, or just stay on it? 3) If I stay on it, can I still try to get off the Eliquis? Thank you. Mandeep Bhargava MD: It can control the heart rate when in AF; safe in patients with normal LV function. Dillon: I never know when this feeling will start and I’m on Flecainide 50mg twice a day (12 hr. intervals) and have only had one event in 2 1/2 years. When we talk of going anywhere away from town and help I get scared and find ways to not go. It is making life seem controlled and I don’t want to do this anymore, I need an answer. The cardiologist I have has not taken any tests or talks about what is causing this, he just says at 75 you must start warfarin, I need answers, dialogue, tests, reasons, do I have a heart defect in the valves, why doesn’t he test? Should I find a new cardiologist? Thank you for all you do. Oussama Wazni, MD: If you have these concerns you should be evaluated by a cardiologist you feel comfortable with. 105/70. No symptoms. Only meds baby aspirin. Aerobic exercise daily. Echo in Dec. at clinic. EF 60, pressures fine, structure/valves ok (mild left ventricular hyperthrophy). Cardiac Cath & X-ray before surgery unremarkable. Local cardiologist recently put me on diltiazem 30mg 3X day to reduce heart rate and it has modestly dropped to 85 but, as expected, BP has also dropped to 95/65 and is limiting a further increase in dosage. Am I correct to be concerned about this high rate long term especially with a bio-prosthetic valve? While not "officially" in the range is this, in reality, a form of sinus tachycardia? Are there other meds you might suggest with minimal side effects that can drop the heart rate further without affecting blood pressure? Mandeep Bhargava MD: Can comment on the type of tachycardia only on looking at the EKG but may be related to post-operative stress, inflammation, anemia etc. You could try beta blockers or combine the two. colo157: I am currently taking 50mg of Flecainide twice a day and the episodes of afib only show up every 60 days-----with some episodes terminating on their own, but some need one extra dose to stop it---do you call this a workable regime for my afib? Oussama Wazni, MD: Yes - it is working for you. MAXDOG: if you have AF and CAD is flecainide a good drug to take. Oussama Wazni, MD: No - this is not a good option if you have CAD. RDH: When is rate control for AF a better option than rhythm control? Oussama Wazni, MD: It is not a matter of better. Both options should be considered depending on the clinical picture - if a patient is not symptomatic and not developing heart failure then rate control can be considered. the last 3 months. Resting sinus rate is in the 70s to 80s. That is about 20 BPM faster than pre-ablation. I have read that is fairly normal. Will the PACs increase or decrease over time? Will the BPM return to normal over time? What causes the rate variation in the sinus rhythm and will that correct in time? Oussama Wazni, MD: Ablation can affect the vagal input to the heart which can result in increased heart rate and also variable sinus rhythm rate. Normal sinus rate is variable - it is not the same all the time. It may take a few months for heart rate to drop to the rates that you had before ablation. oranges1: After an unsuccessful ablation, what do you do differently on the second ablation? After a failed second ablation, what would you do differently on a third ablation? Oussama Wazni, MD: The most common cause of a failed ablation is reconnection of the pulmonary veins. IN a second ablation areas of reconnection are mapped and ablated. If there is no reconnection, then your doctor may look for triggers and/or areas thought to provoke afib and target those for ablation. We are experts at redo ablation at Cleveland Clinic. Momita3: Does the CC do the convergent procedure? If so is it minimally invasive? Oussama Wazni, MD: We do not offer the convergent procedure at this time. We consider it to increase morbidity associated with afib ablation. It does involve surgery. Was diagnosed with a slight mitral valve regurgitation 3-4 years ago, no procedures. Afib background: Diagnosed with Afib three years ago, have had 2 cardio versions, both lasted several months, went back into Afib. Don’t experience typical symptoms, I have a Reveal LINQ monitor that informs the Dr. Office. Current medications for Afib: Amiodarone; Xarelto. Amiodarone keeps me out of Afib most of the time, I've had two episodes in the last 2 weeks each lasted approximately 30 hours. My Electrophysiologist is recommending an ablation procedure. Do you agree with an ablation procedure? Any other viable options? What about the CONVERGE trial? If I have the procedure, is a Watchman feasible to get off of blood thinners? Oussama Wazni, MD: An ablation is reasonable - either using conventional ablation techniques or the convergent procedure. Watchman would be indicated if there is a reason for you not to be on long term oral anticoagulants. rosella: Is there a newer, safer procedure to recommend in place of the former cardiac ablation? If the electric cardioversion did not work, what is the next procedure recommended by you? Thank you. Oussama Wazni, MD: Afib ablation is safe in an experienced center. That would be the next step for consideration. Red333: Is there any update on ablation success. I hear it is only one in five success rate, with the procedure having to be repeated. Is this true? Oussama Wazni, MD: Our success rate is between 65-85% depending on whether it is persistent or paroxysmal atrial fibrillation. Lca1234: I had a cryoablation 11/17 for persistent Afib, and my echo showed severely dilated left atrium and mildly dilated right atrium with mild mitral regurgitation. (mitral repair 2011). Continued propafenone and eliquis and went back into Afib 3 weeks later, hospitalized for Tikosyn dosing and chemically converted. 2 week Holter monitor upon hospital discharge revealed "Sinus with frequent atrial runs and rare short WCT episodes. No clear evidence of atrial fibrillation or significant bradycardia." 4 months post ablation I'm in NSR, on Tikosyn 250 mg twice daily and eliquis 5 mg twice daily. I'm hoping this will hold. My EP told me it's difficult because my atria are so large. Cardiology follow-up in April. Is there hope the size of atria will decrease and when would you recommend a follow-up echo assuming I hold NSR? Thanks. Oussama Wazni, MD: It is possible that left atrial size could decrease provided you remain in NSR. An echo is recommended 6 months post ablation. 3skipabeat3: I am a 68 year old male with heart disease (two 40% blockages) and afib. I had a pulmonary vein ablation in 2013 complicated by post-procedure cardiac tamponade which kept me in ICU for 4 days. I went onto Multaq which was ineffective, and I was switched to a combination of sotalol and nadalol, then later to sotalol alone, which until recently gave me excellent control. I am beginning to have more frequent breakthrough afib episodes about 1/month which last 6-12 hours, the trigger for which is unclear. I do not want to try amiodarone due to its potential side effects. I am considering a second ablation. Questions: 1) Given my situation, especially the infrequency and unpredictability of my episodes, does a proper assessment by an EP require me to be in afib? 2) Given my previous experience with cardiac tamponade am I at greater risk for tamponade in a second ablation; and 3) is there any way to predict what my chances for success might be? Oussama Wazni, MD: 1. No; 2. No; 3. Success of afib ablation depends on the type of afib - persistent vs. paroxysmal in addition to other factors such as duration of dx of atrial fib; left atrial size; BMI; and presence or absence of sleep apnea. donjr1951: I am 2 months post open heart Cox Maze IV. I have remained in sinus rhythm although monitors worn during cardiac rehab indicate occasional PAC's, PVC's and pauses. Is this just part of the healing period or could this indicate a repeat ablation may be necessary to correct this? Oussama Wazni, MD: It is part of normal healing post Maze. It takes several months for the healing process to be complete. sduersch: Can Afib be corrected through a cardio-electrophysiology procedure or is that included in a MAZE procedure? I was diagnosed in January and sent home with a Kardia and Xarelto.and told to come back in 6 months. Mandeep Bhargava MD: yes it can be corrected by a procedure called ablation. This can be done by catheters but when done by a surgeon by opening the chest or laparoscopic ally, it is called a MAZE. Oussama Wazni, MD: no - if you have not had further afib - no need for ablation. Bassets : What do you consider to be an experienced center (for ablations)? Oussama Wazni, MD: Ask your doctor how many they have done and what the outcomes are. 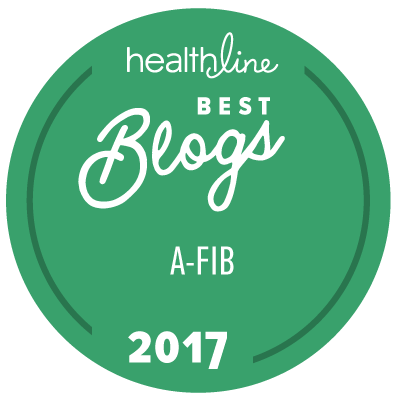 Kerrigan312: I was diagnosed with A-fib in 2001. I take sotalol 120 mg 2x daily as well as 81 mg aspirin. My cardiologist is now recommending I start on blood thinners as I recently turned 60 years old, am female and have high blood pressure for which I take medication. He told me there is a point system used and I have "3" points which means I should be on blood thinners. Are there any other options, the thought of blood thinners is frightening. Oussama Wazni, MD: This is the CHADS VASC score and based on your score - you should be on oral anticoagulation. cyclefar: I'm a 61 year old endurance athlete diagnosed with permanent a-fib 3 years ago. Bradycardia, PVCs, etc... I had a-fib for many years and local MD said i had a "funny heart beat". It was normal to me, about 44bpm not creating any issues. New doctors - I was not a candidate for meds as my pulse would dip into 20s as I slept "monitored". I was ablated for a-fib. Following that I had 3 more ablations over the next year for flutter. I was out of flutter for about 15 weeks following the last ablation. I am in constant flutter for 3 months now. It only affects me mentally. I only know because I monitor twice daily with the kardia app and feel it when I lay down to sleep. Currently only monitoring since I have a solid pulse of 67 and no real symptoms. I have diltiazem in case pulse races but it does not. I worry because I am not on an anticoagulant. My EP is hesitant with the anticoagulants as I am still cycling. Makes sense. I have no other risk factors. Thoughts? Anticoagulant? Oussama Wazni, MD: If your CHADS VASC score is low, then it is reasonable not to be on an anticoagulant. Cycling is not a contraindication to being on an anticoagulant. 1) Odds getting a hemorrhagic stroke (HS) for someone my age (86) who had a previous (HS) while on anticoagulant and is now off anticoagulants with AFIB? No trace of HS on scanner, hematoma completely resolved. Mandeep Bhargava MD: 1. It is true that your risks for both ischemic stroke and hemorrhage are high at the age of 86. You surely are at higher risks for a hemorrhage again due to the previous episode. tjm6015: How does one with a history of Afib proceed when his surgeon wants him off of anticoagulant (mine is Eliquis) for as long as 3 weeks for the purpose of large prostate surgery, but his cardiologist/electrophysiologist will consent only to a few days (less than a week) off of anticoagulant due to concern about blood clots? Oussama Wazni, MD: There is no reason for you to be off anticoagulation for 3 weeks. If there is a big concern your surgeon may consider bridging with lovenox or heparin. kaysman: I had minimally invasive aortic valve replacement surgery on 02/13/2017. While in the hospital I had a couple of episodes of AFIB on day 3 of the hospitalization. There were no further episodes, and I was dismissed on day 7. My cardiologist was very concerned about the AFIB, and he prescribed Pacerone and Xarelto. After 3 months I switched to Pradaxa. In May of 2017 I purchased an EKG device by AliveCor called "Kardia Mobile." I stopped seeing my Cardiologist in October and stopped Pradaxa myself over the objections of my former Cardiologist. To date I have taken my EKG 80 times... Of these 80 readings all but 7 were indicated as "Normal". Of the 7 not normal, 6 were classified as "Unclassified" and 1 was classified as "Possible AFIB." The "AFIB" was about a 3 or 4 second of unusual beats, and the rest were normal beats. My "normal" readings often show occasional PVCs. My conclusion is I don't have AFIB and don't need Pradaxa. Your thoughts? Mandeep Bhargava MD: We need to know your risk factors for AF. By the data you gave, it seems your AF is just post-operative AF and in these situations, we tend to stop anticoagulation in about 3-6 months. In other higher risk patients, we may consider long term monitoring for looking at "sustained AF". The Alivecor is good and bad; we just need to be sure what we are treating and cannot always rely on just what the monitor shows. I would suggest you confer those EKGs with a physician. dinkydoo: Dos magnesium and potassium supplements interfere with Coumadin?? I am seeking nutritional supplements to help with the A-Fib. If so, would switching to a different blood thinner enable me to take these supplements? I take Amiodarone and Imdur also. Mandeep Bhargava MD: Coumadin can interact with Amiodarone. Mag and K supplements should usually not impact it. If you are on Amiodarone at a constant dose and not changing it, monitoring and finding the right level should be fine. BuzzBee: As you can see I have saved up many nagging questions for you. I have persistent AFib and have been on medication for a few years now. Is there an alternative to Xarelto? Not only is it expensive even with insurance but there is always a lingering doubt about long term side effects. What is the anti-dote and why are we not carrying it with us? Also, I went from taking Metoprolol to Metoprolol Succ. And this has made a subtle but very much felt difference in my day. I do feel like I am almost not on any meds I am also taking less which surprised me. Now, should one try to take less of that and see the effect or leave well enough alone? I want to take the minimum without bringing on symptoms. Still working on stress triggers. Is an anxious personality genetically linked with Afib? Finally, set us straight on controlling inflammation. Can Afibbers take natural supplements like ginger and curcumin if you are also on Xarelto? What choices do we have? Oussama Wazni, MD: There is always the option to take coumadin or dabigatran both of which have reversal agents at this time. Xarelto, eliquis and edoxaban will most likely have an FDA approved reversal agent in May 2018. These will be available at your local hospital/clinic. Stress can exacerbate afib. We do not recommend any supplements. Tootie222: Being treated for Afib, & had cardioversion September 2017. Taking 1 to 2 mg Warfarin each day, & 50 mg Metoprolol each day. I'm would like to go off Warfarin to try aspirin therapy. I have old injuries to one ankle & both knees, plus years of wear & tear to other joints. I have taken aspirin as needed for the past 30+ years which works well for me & I have no problems with bleeding, etc. Have had one reoccurrence of the Afib when I was taken off the beta blocker. Resumed using it at the same dosage, no problems since. My physician doesn't think aspirin will be as effective, but the pain is affecting my doing my job & my quality of life. I'd like to give it a try, and if it doesn't work I can go back to the current treatment. I'm not one to take med's if I don't need to, and would like an opinion to see if aspirin therapy might improve my quality of life while treating the Afib, helping to relieve my pain, and help me enjoy the remainder of my time after I retire in few years. Thanks! Tropp: What is the current best practice for a drug regimen for a person with persistent a fib who gets a stent in a coronary artery? Oussama Wazni, MD: Are you referring to oral anticoagulation management? Anabel: I’m female just turned 67 and have been afib free for two years post 3 ablations. The only medication I take is xarelto. Chad score of 2 because I am over 65 and female. Xarelto has caused many side effects for me. Bleeding is not one of them but I am experiencing depression and severe upper arm pain. I also have a headache every day. I developed pulsatile tinnitus that has been cleared of anything sinister by MRA. I am a nurse and have studied as much as possible. My Dr refuses to implant the linq as he said it would not change his mind about taking me off xarelto. I am miserable. LAA amputation not desirable at this time as if Afib returns I will have the mini maze procedure and have it done then. Watchman is fairly new and I understand some clots have formed in the arm of the watchman. I know that aspirin will not protect me but given that I have been afib free I am seriously considering going off xarelto. Your thoughts please. Oussama Wazni, MD: IF you have been afib free you can consider stopping oral anticoagulation. Risks for you are age and gender based on what you have said. As long as you know you have a residual risk of stroke. This is a conversation that you need to have with your doctor. It can be reasonable to have a linq implanted and be managed accordingly. You may want to have a second opinion. tennisfun: Diagnosed with afib 2 years ago. I believe I was very dehydrated when I had this episode. Shortly after the afib episode and being put on metropolol I fell and broke an elbow requiring surgery. Surgery was delayed due to a discovered left bundle branch blockage. Ended up having a heart catheter with no blockages so had the surgery. My heart rate has dropped into the 50-60's due to the metropolol but I honestly do not think I have had another episode in the 2 years since. Sometimes I think my heart is racing but my pulse, just from my watch, my only be in the 80's. If I am in afib I don't feel like I did the first time with shortness of breath, a feeling of indigestion, and a racing pulse. Can I be in afib and not know it? I would really like to go off blood thinner if it is not necessary. I am 62, female, 5'9" and 120lbs. I do have high blood pressure and am on 5mg linsinopril and 10mg of metropolol. thumper2: I submitted this question some days ago, but here it is again. I have had a PDHBP (Permanent Direct His-Bundle Pacing) procedure, which has been very successful. However, I still have occasional shortness of breath, even when trying to walk on a level surface (or upstairs). Is there anything I can do to deal with this? It does not always occur. My lungs are in good shape. I use a treadmill regularly but cannot jog or walk fast. Oussama Wazni, MD: If you have atrial fibrillation, then rhythm control may be beneficial. Also - re-programming your pacemaker to provide rate response may be beneficial. Sports Mom: Is there anything that can be done to control atrial fibrillation after an AV nodal ablation is done and a biventricular pacemaker is implanted? If not, what are the risks of constant atrial fibrillation at an above normal rate? Thank you. Oussama Wazni, MD: If you have had AV node ablation then your heart rate should be at the base rate of the pacemaker, except with exertion when the rate would increase to accommodate your physical activity. If you are in atrial fibrillation but not having symptoms related to it then there is no need for further management of the afib. thumper2: I have had a successful AV nodal ablation with upgrade to His Bundle Pacing. My pacemaker is set to 70 bpm. My only problem is that often (but not always) I experience some breathlessness when climbing stairs, and sometimes even walking on a level surface. Is there anything I can do to reduce this? I exercise daily on a treadmill, but feel as if I cannot walk faster than 2.4 (much less jog, or use the incline). (My lungs are in good shape.) I find that sitting still, then moving, increases breathlessness, whereas if I am moving about before, e.g., climbing stairs, I may not experience breathlessness. I sense that if I can get my heart beating faster somehow, it will mitigate the breathlessness. Any advice? Mandeep Bhargava MD: You may need to have the accelerometer adjustment to your pacemaker. Taking Tikosyn 250 mcg bid since September 2017. I use treadmill 7 days a week, walking 1.4 miles in 34 minutes. Question: should I consider Ablation for my A Fib? Mandeep Bhargava MD: If you are happy with your quality of life, you do not need to. Treas: Can an ablation procedure be performed on someone who has a dual chamber pacemaker installed? Oussama Wazni, MD: Yes - we have a very large experience performing ablations on pacemakers and ICDs. We have studied this in the past and it is safe. MAXDOG: how many Watchman procedures have you done? Oussama Wazni, MD: We have performed more than 200 WATCHMAN implantations at Cleveland Clinic with no major complications. beat159: Once a person is diagnosed with Congestive Heart Failure, does it ever go away? Also, is there a difference between chronic congestive heart failure and congestive heart failure, or is all congestive heart failure chronic? Thank you. Mandeep Bhargava MD: Congestive heart failure can be acute or chronic. Some are due to reversible factors and some may stay; depends on the underlying cause. Most tend to stay but can be controlled. Mellanie True Hills: On behalf of the Afib patient community, I’d like to thank Dr. Wazni and Dr. Bhargava for answering our questions today, and the team at the Cleveland Clinic for arranging this live chat. Sign up for our newsletter at www.stopafib.org to be notified of future chats.